Just before leaving for a trip to Costa Rica that my family had received through the Costa Rica Tourism Board’s Gift of Happiness Sweepstakes, I learned about Pack for a Purpose, and the wonderful fact that our hotel, La Quinta de Sarapiqui, is a participating inn. 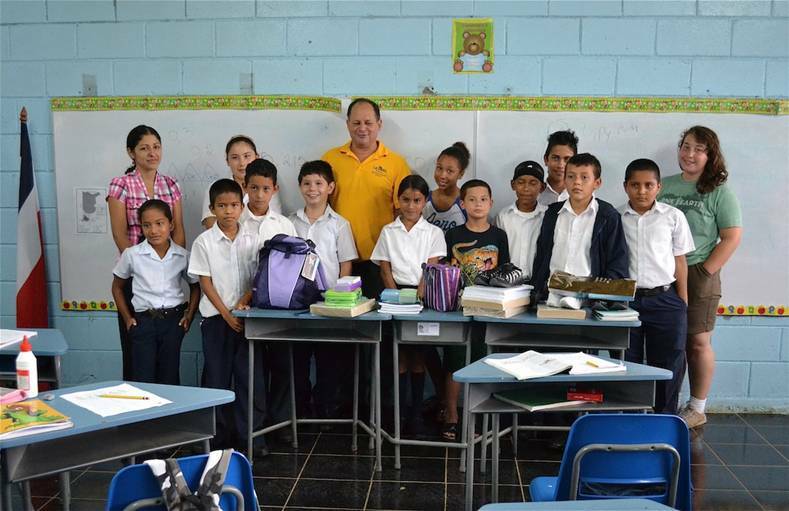 We happily purchased and packed art and school supplies and then had the additional fortune of being able to tag along on a visit to the local school, Llano Grande, with Ana, the inn’s manager, and fellow Gift of Happiness recipients who had also packed for a purpose. The school visit turned out to be one of the most special and memorable experiences of our whole trip. The children were all very attentive as Ana introduced us. The students went around the room, sharing — some boldly, some shyly — what they wanted to be when they grew up. There were two future policemen, a fireman, a writer, an English teacher, more teachers, and two farmers. We were told that many of them were children of pineapple and yucca farmers. 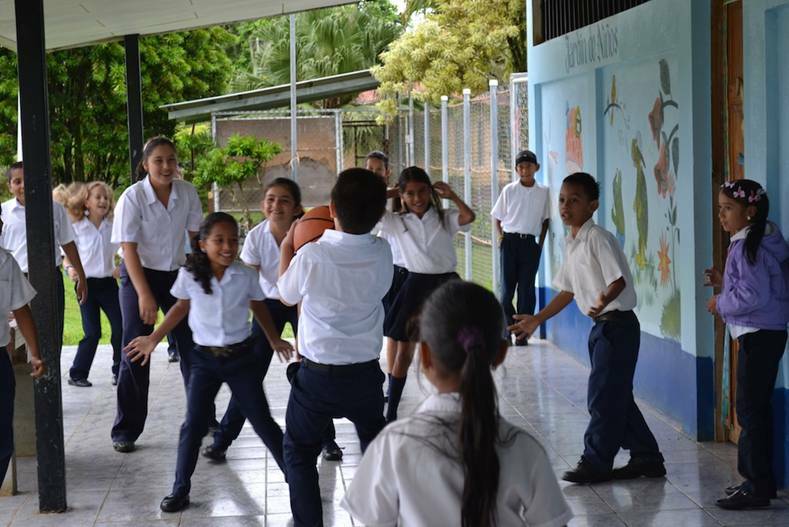 At recess time, the kids went outside to play basketball and soccer, joined by the classroom of younger children. It was so much fun to just watch them laugh and play. We also saw their wonderful organic garden, which supplies much of the food for the school. 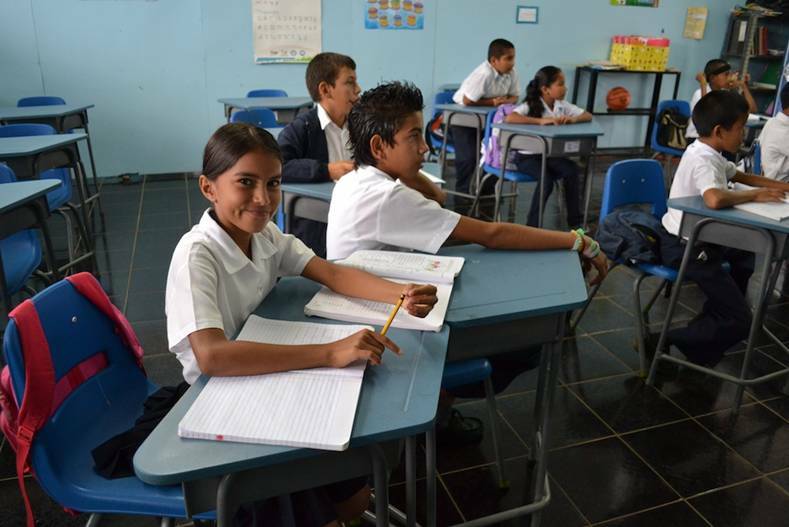 We were told that, while primary education is mandatory in Costa Rica, and school lunches subsidized, many children stop their education before high school because the families can no longer afford the lunch. 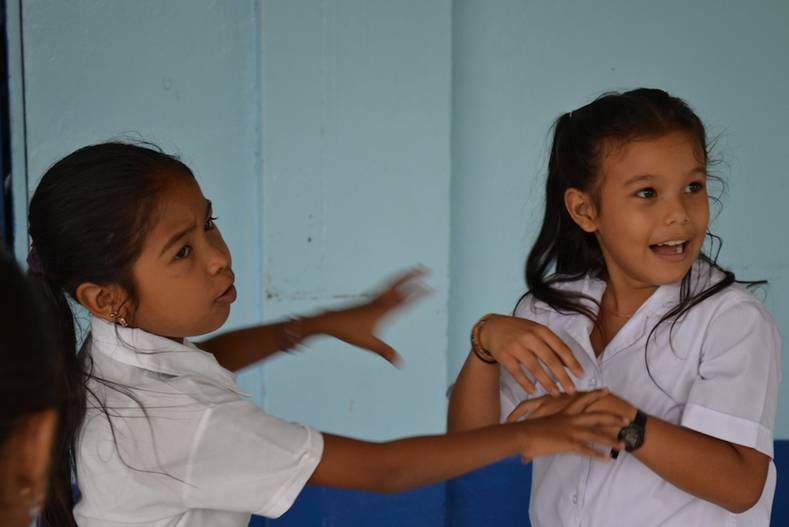 We were also told that some of the children in rural Costa Rica live with as many as five families in a small house. After washing up, the children went back to their respective classrooms, and we gave our supplies to the kids. The teacher mentioned that one boy, who wasn’t there, would be so happy with the shoes the Ekarintaraguns had brought, as he didn’t have any. All the kids nodded in agreement. My daughter, Anna, handed out the art and school supplies that we brought. My husband, Michael, asked to share one more thought with the kids. In his best Spanish, and a little help from Ana, he told them that it may seem like Americans have a lot of things, but that they, the Costa Rican children, who lived in a beautiful, natural country that cared deeply about and was practicing sustainability, were truly the children of the 21st century. It was a wonderful thought that encapsulated much that we had already learned about Costa Rica in our short time there.We all left very moved and humbled, with hopes to be able to visit again and to help others through the simple and powerful act of packing for a purpose. 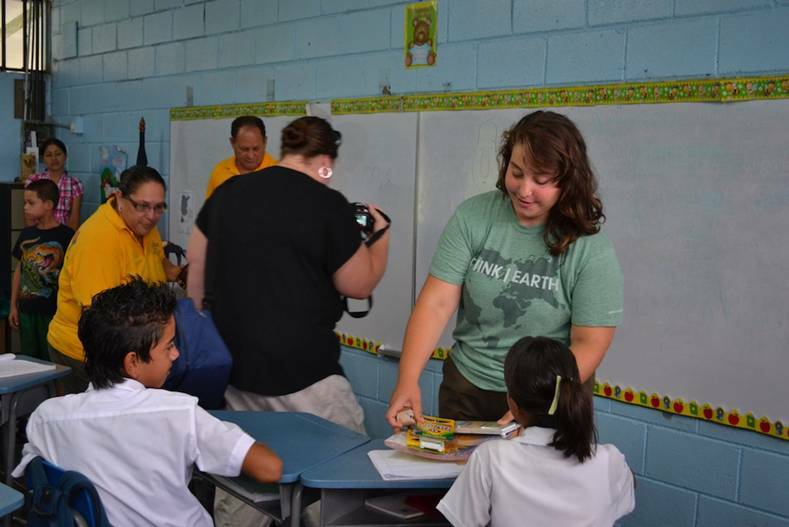 You can read more about Suz Lipman’s Costa Rica trip on her blog, Slow Family Online.